Our stable of entertainers includes a cavalcade of curious characters. However, if you don’t see precisely what you are looking for, please ask as we are always inventing something new. An entertainer from a more genteel era, presenting a different face of magic. Echoic of the silver screen stars from the 40’s, Benny will bend your reality with slight of hand and slight of mind while cheerfully engaging all elements of your audience. 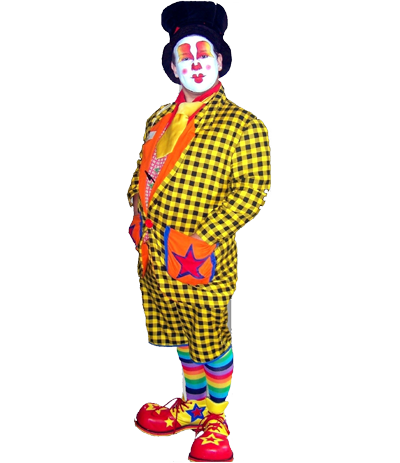 For a WOW factor Benny performs stage spectaculars fit for all ages and suitable for all venues and audience sizes. From smaller elite private party shows to a large scale, story based grand illusion show complete with beautiful assistants. No matter what the event, Benny is a cut above, as he always ensures that every one of his “audience assistants” leaves feeling like a friend and thoroughly magical, having performed startling magic themselves. In medieval times, the court jester was an extravagant status symbol that only the wealthy and Nobles could afford. Today however, that luxury is available to one and all. 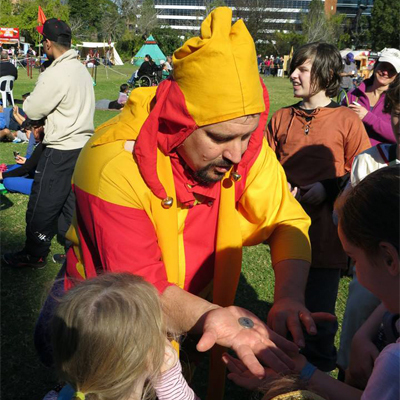 Feldergast the Jester will bring his professionalism and his sense of medieval mischief to your event, filling it with a sense of light-hearted fun frivolity. His stage show is an entertaining explosion of general mayhem with a generous dash of historical hilarity, showcasing such skills as juggling, illusion, music, fire art and general buffoonery. His strolling entertainment will bamboozle and delight as he demonstrates his skills in the art of foolery, juggling prestidigitation and mental magic! Feldergast will fill your event with fun and frivolity with a medieval flavour, he’s just waiting for an invite. 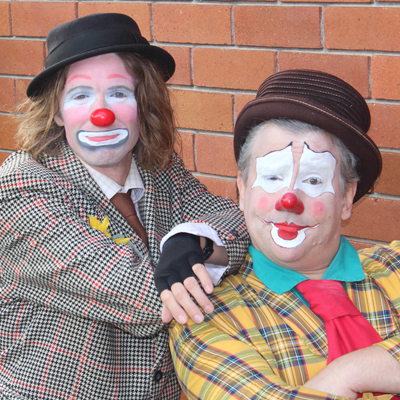 These two classically trained clowns will have you splitting your sides as they tickle your funny bone with traditional tomfoolery. Enjoy the hilarity as the seasoned professional Buster tries to educate the first time funster Bo in the art of entertainment. With elements of juggling, magic, live music plus traditional circus skills and sketches. Laugh as Bo attempts the “high wire” and as buster tries to teach a magic lesson. This show will have the whole family filled with mirth and merriment. Busters’ highly interactive, bright and bubbly, family friendly balloon based performance, delights and entertains everyone. From elite executives to tiresome teens to playful preschoolers. 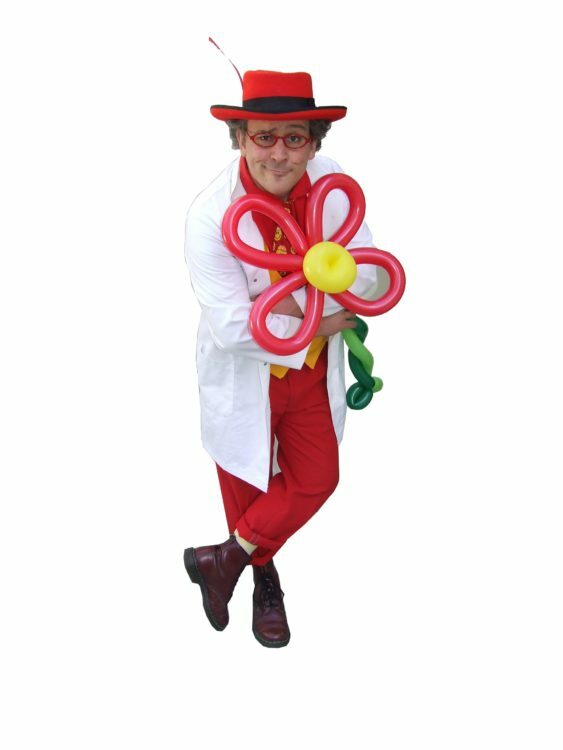 Gasp and be amazed as Buster the balloonatic performs startling balloon magic and balloon juggling. Buster enlivens your event, interacting on an individual level with your guests as he twists tailor-made balloon sculptures for everyone. Hilarious hats worthy of the Melbourne Cup, fantastic flora and fauna, triffids, penguins and lizards and more. Even the old side-show classics like swords and poodles. He and his team can also create custom, large-scale sculptures, two to three meters tall with intricate detail, a wonderful eye-catching promotional tool or piece of “performance art”. Magic with a darker, more gothic flavour. Lestat tends toward the sinister, the macabre and the vaugley malevolent, yet with his astute sense of occasion his audience is never pushed too far. The Stage Show – When you’ve been around as long as Lestat, you’re sure to learn a trick or two. You will bare witness as Lestat creates a dove from thin air, proves he can’t be harmed by conventional means and levitates silver spheres, tables, and maybe even you! 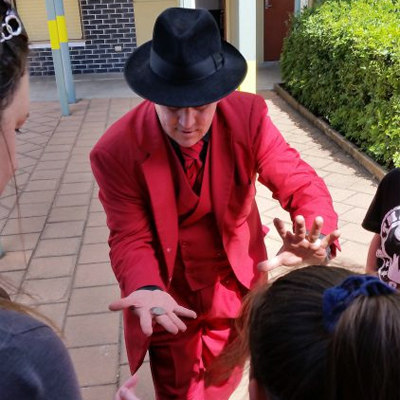 Lestat tailors each show to each individual audience and is able to perform for all ages. 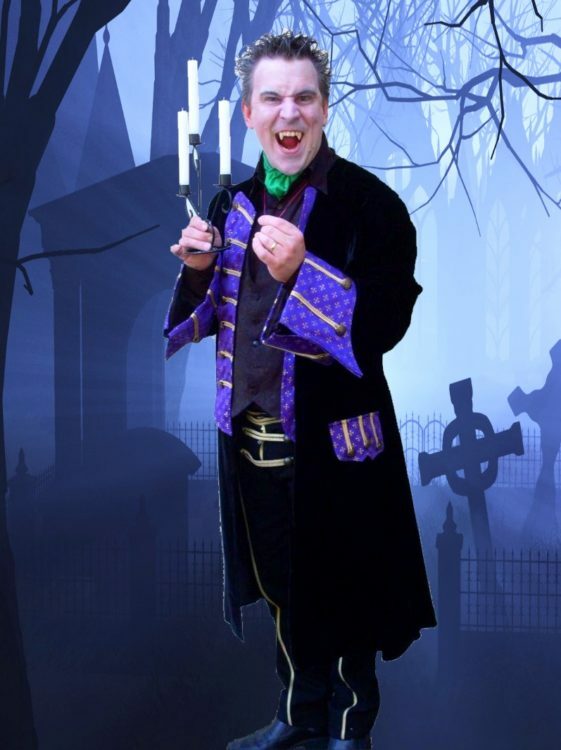 From the bright and breasy “Comedic Kids Show”, suitable for all ages, to the “Dark and Dangerous” fangs out, Macabre P.G. 13 show. He even Performs a grown-ups show, but as the host, you get to decide how dark it gets! The Strolling Show – Lestat mixes and mingles with your guests, performing amazing magic on an intate, interactive, individual level. Your guests will be truely astonished as the magic happens in their hands, under their noses and even in their minds! Laughs and gasps as the magic and astonishment flows freely as Lestat reads minds and bends spoons and even moves things with the power of his mind. 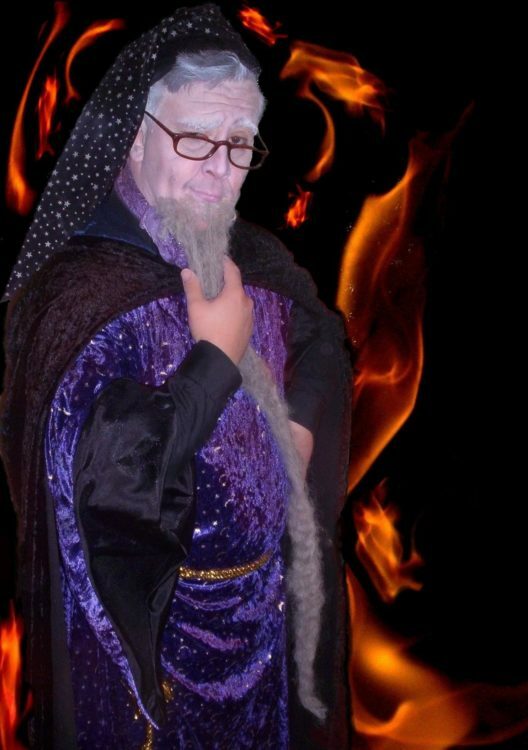 Get swept away in the fantasy world of our real live wizard, Beldin, as he performs what appears to be real magic! Straight from the world’s leading school of wizardry, Beldin’s astonishing magic will make your jaw drop. No simple card tricks or kiddys’ magic tricks but every thing looks like real, live magic. With a combination of storytelling, special effects and prestidigitation unparalleled Beldin will have you believing in magic again! Dosty will have you chuckling with his quick-witted words, bombastic buffoonery, magic, juggling, balloon art, comedy, and audience interaction as he lets loose his own brand of lunacy around your function. No matter who choose, all our bright and bubbly professionals are fully insured and child protection checked.